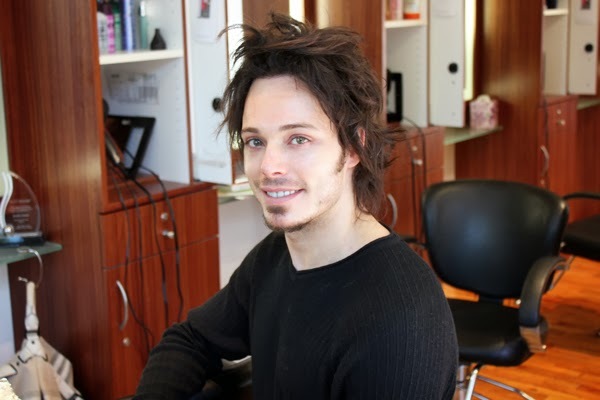 I’ve been trusting my tresses to Dustin David, owner of the eponymous salon in Los Gatos, California, since I was eighteen (in other words, for a really long time). I’m not the only one who puts their hair in Dustin’s hands. He’s styled the shiny strands of Victoria Beckham, the Hilton sisters, and Rebecca Minkoff—he even did Rebecca’s wedding day ’do...at a villa...in Italy. I recently took a spin in Dustin’s chair to get a fresh fall cut, some styling tips, and the mane details about a much-loved designer’s big day. We all want healthy, shiny hair. How can we get it? How your hair looks has a lot to do with your internal health. If you eat crap, your hair will look like crap. Also, I once heard Sophia Loren say to treat your hair like it’s made of glass. You have to brush it carefully and use good elastics or else it breaks. You also have to use the right shampoo and conditioner. 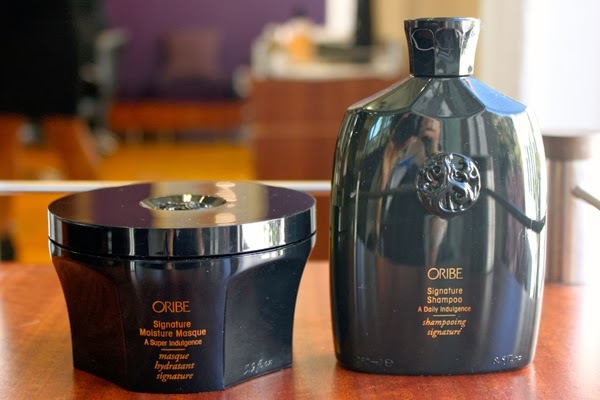 My personal favorites are Oribe Signature Shampoo and Oribe Signature Moisture Masque—a little goes a long way. You’re all about the big, bouncy blow-out. How can we get the look at home? I recommend a round boar’s hair brush, a professional-grade blow-dryer—I use the CHI Rocket—and, of course, the right products. 1. Prep damp hair with Oribe Foundation Mist, which has heat protection, UV filter, and moisture, and Oribe Royal Blowout, which makes hair dry faster. 2. Apply a strong mousse at the root, like Bumble and bumble Thickening Mousse, and a lighter mousse on the ends, like Kerastase Mousse Bouffante. 3. Pre-dry your hair without a brush until your hair is at least 70-80% dry. Focus on the roots, lifting your hair up with your fingers while you dry to create volume. 3. Starting from the crown, place the brush behind a two-inch section of hair and pull toward your face as you dry. When you get the end of each section, wrap the hair around the brush a couple of times to create bend. Be sure to direct the air down the hair shaft, which blows the cuticle flat and makes hair shinier. 4. 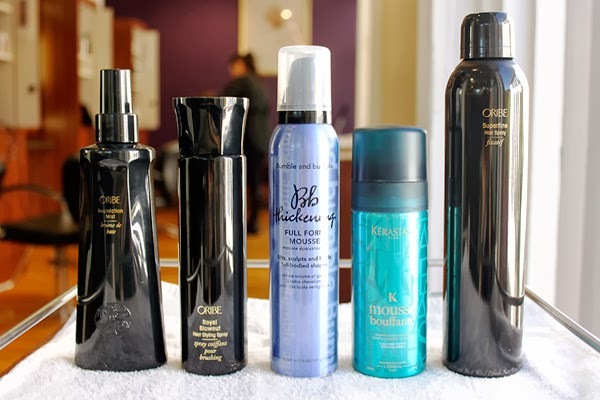 Once dry, add a mist of finishing spray—I love Oribe Super Fine—and you’re done. You styled Rebecca Minkoff’s hair on her big day. Can you share any details? That day, the bridesmaids put Moroccan oil in their hair while they were at the pool. When it was time to give them blow-outs, no one had shampoo. So I gave them blow-outs with oil still in their hair. It took an extra long time, but they turned out to be the best blow-outs. Rebecca never had a hair trial. We were at a 17th-century Tuscan villa, and there weren’t any mirrors in the room where we were getting ready. When I asked her what she wanted, she said, “You’re the hair guy—do whatever you want.” I created a beautiful, side-swept bun. She loved it. Great tips! :) I love Oribe products, Shiseido tsubaki is good too, the red bottle is the best one. I love Oribe, too! I've been hooked on the Moisture Masque for awhile now. Thanks for the tip about Shiseido—I will definitely look into that one, too! So this is the man responsible for your gorgeous mane. He is a legend! Based off of reading this, I am really missing out on a round brush! Loved these tips!